Brahma: We start with the first god of them all, the creator. Brahma is the first of the holy trinity in the Indian pantheon and the god who created the world. Ironically, he is the least commonly worshipped of the holy trinity, thanks to a curse that was given to him by Shiva or Saraswati, depending on the version you prefer to believe in. It is fairly easy to identify Brahma, for he has 4 heads with a long flowing beard, usually has 4 arms and is shown sitting on/near a swan. The most popular and quite possibly the only Brahma temple in the India is at Pushkar in Rajasthan. However, many temples in India carry Brahma’s imagery in the form of sculptures and paintings around the main idol. 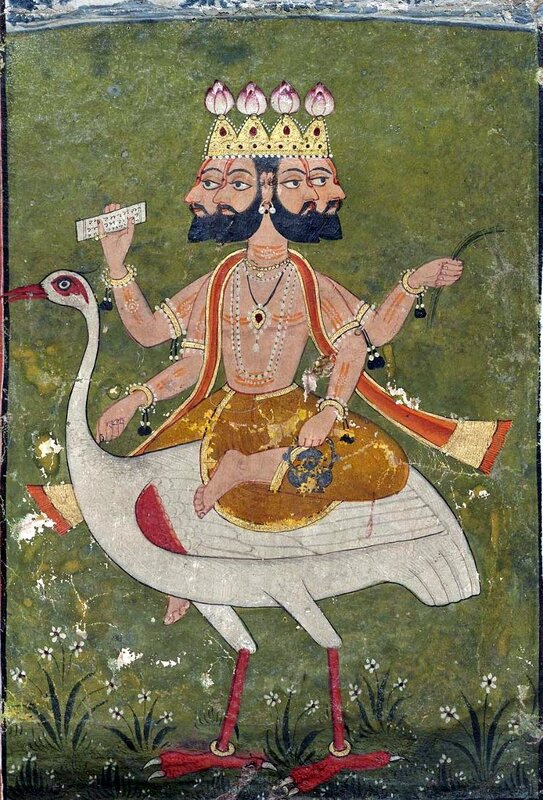 Brahma the Creator on his favoured vehicle of choice, The Swan. 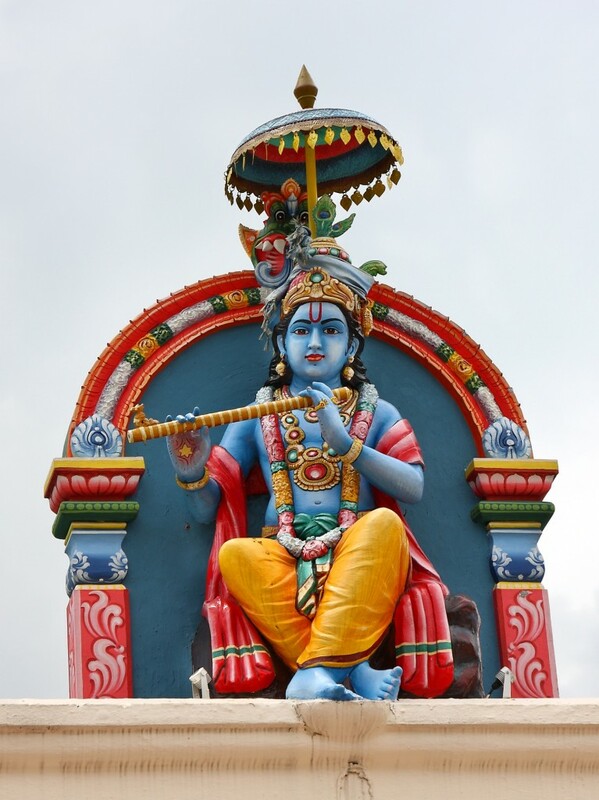 Vishnu: He is the second of the holy trinity and his job is to protect the world. He is commonly represented to be sleeping on a bed, which is a 7 headed snake and the snake is supposed to be floating on an ocean of milk. This is because he is supposed to be the King of the Milky Way. He thinks like a chess player, among the holy trinity and is commonly called the Puppet Master. Vishnu can be identified with what he holds in his hand: a discuss and a conch (sea shell) in each hand. Also, more often than not, you will spot a man with wings behind him representing Garuda or the Eagle – his preferred mode of transport. The best Vishnu temples in India are to be found along the River Cauvery in Southern Karnataka and Tamil Nadu. Also, he is supposed to descend upon Earth in a more perceivable form, to destroy the evil and protect the good people. He is supposed to have taken 9 such different forms, called avatars, and the next one is slated to come in soon. More on this later. 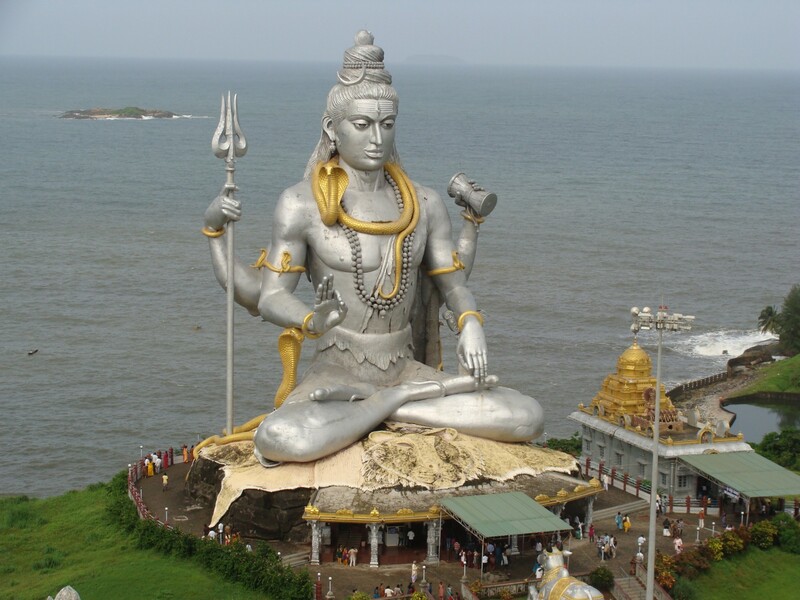 Shiva: Quite possibly the most popular of all Hindu gods, Shiva department is destruction and his wrath cannot be escaped by any evil in this world. He has a short fuse and he lets out his anger by dancing, for he is the king of all the dancers in this world. It gets worse when he opens his third eye, positioned on his forehead, which turns everything it sees into ashes. He lives in the Himalayas, smokes marijuana and is meditating when he is not hunting down evil demons. He is represented in two forms, the first as a man holding a trident, a small two headed drum called Damru and wearing a snake over his neck. The more popular representation is that of the Phallus, called the Lingam. The most famous of the Shiva Lingams is at Varanasi, a temple most people visit while travelling to India. Saraswati: She is the goddess of Knowledge and is the consort of Brahma, the creator. She along with Brahma is responsible for creating the world as it is. All skills and knowledge in the world are attributed to her. 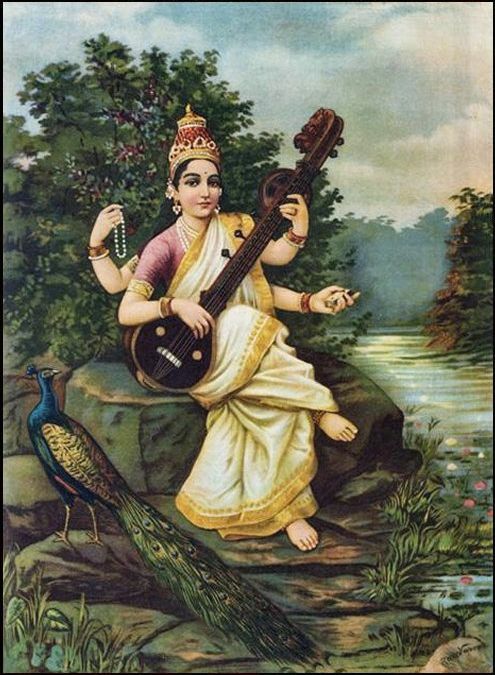 She is represented holding a Veena (A stringed musical instrument) and her vehicle is a peacock. She is especially revered on the day of Saraswati Pooja, held during the Dasara celebrations. One of the most famous Saraswati Temples in India is at the temple town of Shringeri in Karnataka. 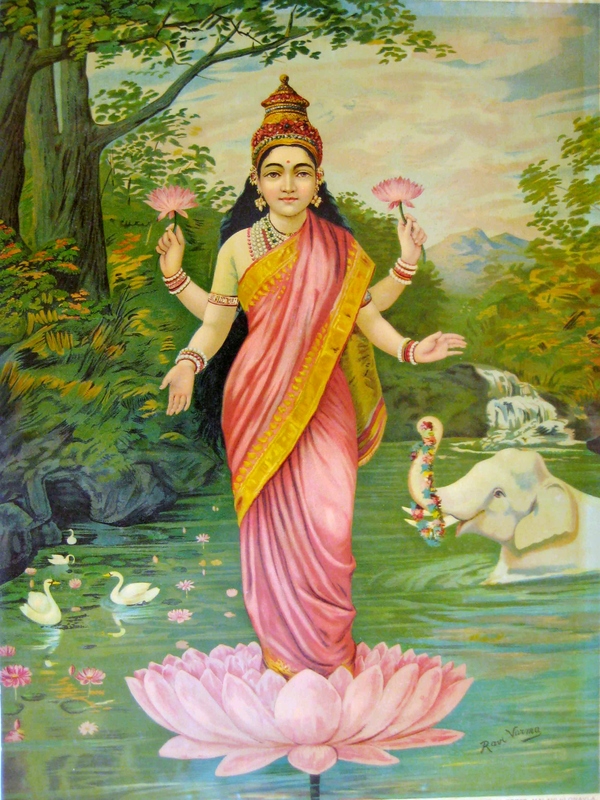 Lakshmi: She is the goddess of choice for the merchant community in India, for she is the goddess of wealth. She is the wife of Vishnu, the protector and bestows the powers he needs to protect the world. She is usually represented as sitting on or holding a lotus in her hand. Alternatively, she holds Vishnu’s instruments – the Chakra and the Conch Shell in each hand. Also, there is always an elephant nearby her, for that is her preferred vehicle of choice. She along with Vishnu were highly favoured by the Chalukya Dynasty in Karnataka as can be seen at the Lakshmi Temple of Goravanalli in Hassan District. Parvati: Like her consort, she is possibly the most well known of the 3 goddesses. 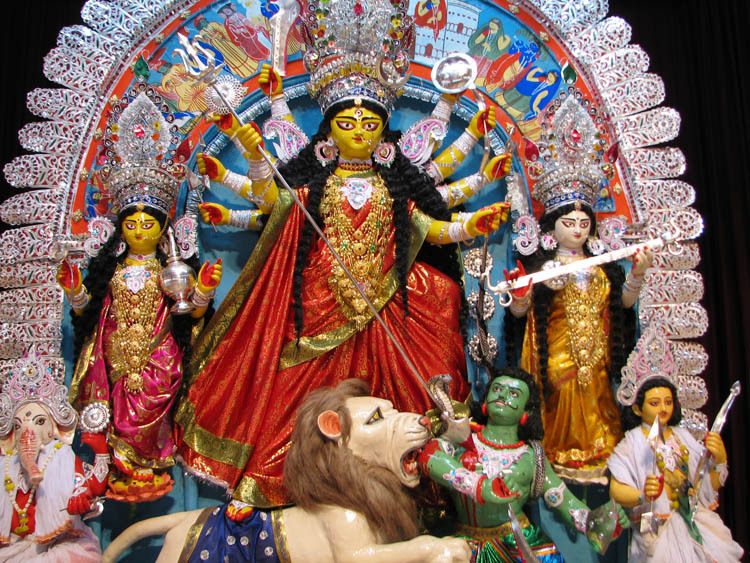 Her avatars of Kali and Durga have captured the imagination of the masses and there are many temples in India dedicated to her cult. She is the goddess of power, which is what makes her a scary proposition for even her own husband Shiva. She is commonly represented having innumerable hands holding a weapon each, seated on a ferocious looking tiger/ lion and more often than not, spearing a hapless demon with a trident. Mysore has a special connection with Parvati while the Kali Temple at Kolkata is easily one of the scariest temples you will ever visit. 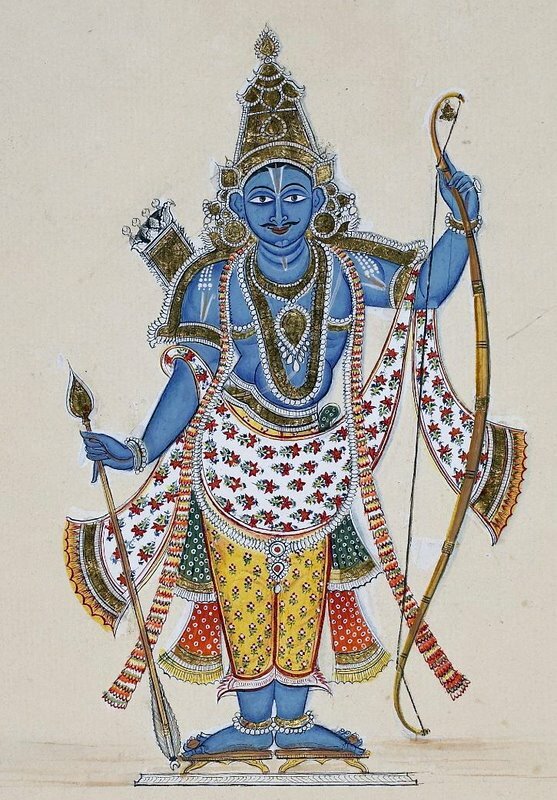 Rama and the epic of Ramayana: Of the 9 avatars that Vishnu has taken, his two most popular are the next two gods. The first is Rama who is supposed to embody all the qualities of a perfect human being. Also, Ramayana must be one of the oldest travel stories in the world, for it is a story of how Rama along with his brother Lakshmana travel from Northern India to Sri Lanka to rescue Rama wife Sita from the clutches of a demon called Ravana. He is represented holding a bow in his hand and is usually accompanied by his brother and wife. For something unique, you may try retracing Rama’s paths from Ayodhya to Sri Lanka and you will find innumerable temples enroute, filled with enchanting tales about the 3 travellers. Epic journey we promise. Rama, the mythical perfect gentleman, is a role model for how a man ought to be. Some thing for men to learn while travelling in India. Krishna and the epic of Mahabharatha: Before the age of soap operas, there were mythical epics. And one of the greatest mythical epics written anywhere in the world is that of Mahabharatha. It is longer than Iliad and Odyssey put together and has so many different characters with varying shades of grey. We promise it is one book you will not regret reading. The central character of the epic is the 8th avatar of Vishnu known as Krishna. Krishna portrays all qualities of the perfect strategist while protecting the world from the evil doers. He is also is the real player among all of the Indian gods, for he has countless number of wives. He is showcased as holding a flute in his hand and is usually surrounded by cows and beautiful women around him. Though Krishna is worshipped everywhere around India, a visit to the temple town of Mathura, which happens to be his birth place, is recommended. Lord Krishna is the ultimate strategist. And quite a player too. And men tend to follow him more than Rama. Ganesha: The next two gods are a favourite among the kids especially. 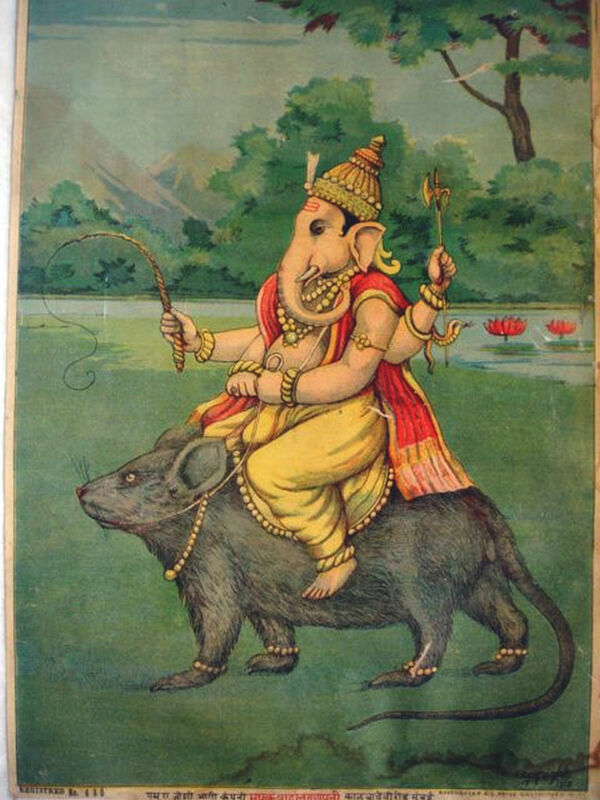 Ganesha, the elephant headed god is the son of Shiva and Parvati and is the god of good luck. Pretty handy god to worship we say. But he is easily the most comical looking of all the Indian gods. Imagine a man having a big elephant head, with a bulging tummy wrapped with a snake around it and seated on a mouse. But then again, we dare not infuriate him as the moon god learnt the hard way. Ganesha is ubiquitous in most temples in India but a visit to Mumbai during the festival of Ganesh Chaturthi is highly recommended. It is an experience you will never forget. 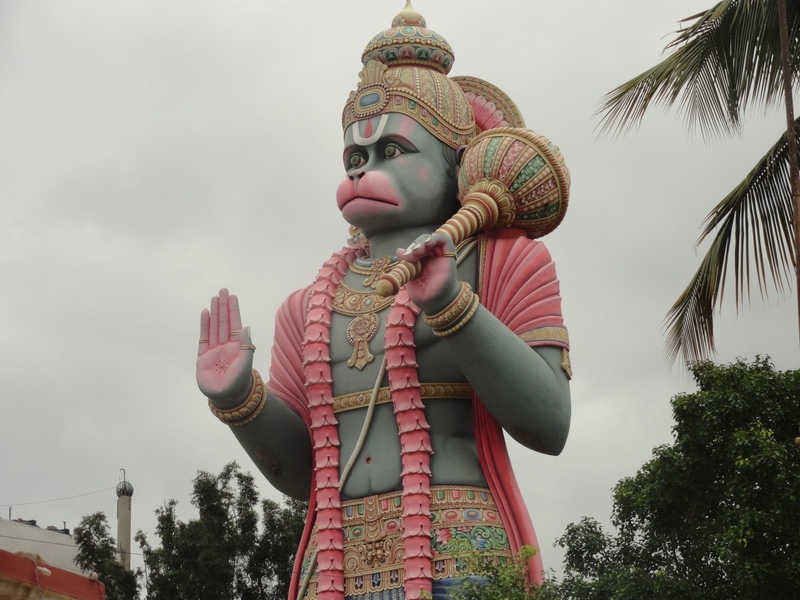 Hanuman: For most kids growing in a Hindu household, the first super hero is this monkey god. He is the son of the wind god and is quite possibly the strongest in the Indian pantheon, when it comes to sheer physical strength. His tales are hilariously good, especially for kids and his name never fails to encounter smiles for the people around. He is also the war commander for Rama in the epic of Ramayana and he happened to first meet him in the current town of Hampi in Karnataka. You will encounter him at most Rama and Vishnu temples in India and is it hard to miss him thanks to his monkey like appearance. Nobody can match with this god’s physical strength and he is Hanuman, the monkey god. He once travelled around India carrying a mountain with him. Armed with these 10 names along with the knowledge of their appearance, you are now ready to travel and visit the important temples in India. Most of the temples in India, apart from their ancient history and stunning sculptures, are special thanks to the stories that surround them. 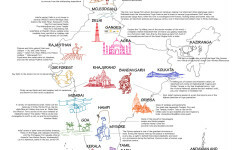 And for a true story telling experience, we recommend you travel with goMowgli during your travel in India.